An electric bike or an electric scooter, which one would you want? Electric bike riding fast, long time and powerful electric source. Electric scooter more light, cheap, portable and convenient. But I want to recommend an electric scooter for adults in 10 inch. 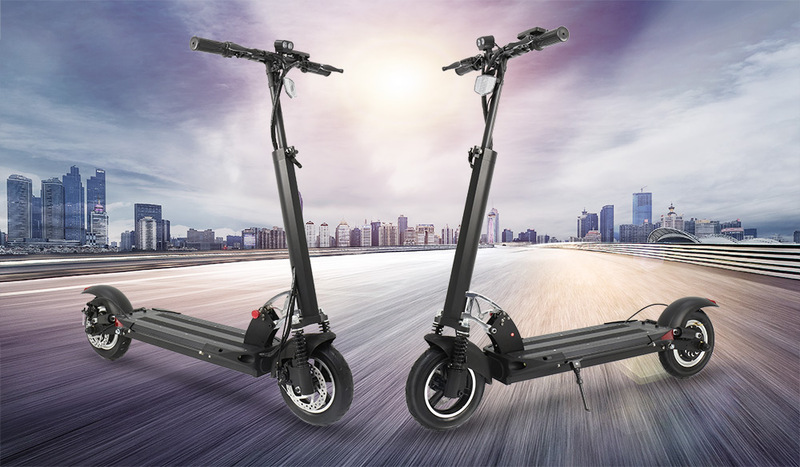 Shuangye A1-8 10 inches wheels electric scooter for adults frame made up of 6061 aluminum alloy, which making the electric scooter for adults more light, corrosion resistance and durability to extend the electric scooter longevity. And this is a pneumatic tire electric scooter, keep this electric scooter balanced all on it’s own. Give you smooth ride and fun riding experience. It is a good choice for your family or friends as a gift. Portable folding design of electric scooter for adults scoot your commute with a portable and convenient, energy-efficient and economical, while remaining lightweight. Electric scooter can be folded easily in 2 seconds with quick folding latch for easy carrying and storage. It means that you can riding this electric scooter to commute without worry it will occupied your space and keep the electric scooter neatly by your side in public transit, or out of your way in your office or home. It is a good choice being commuter tool. 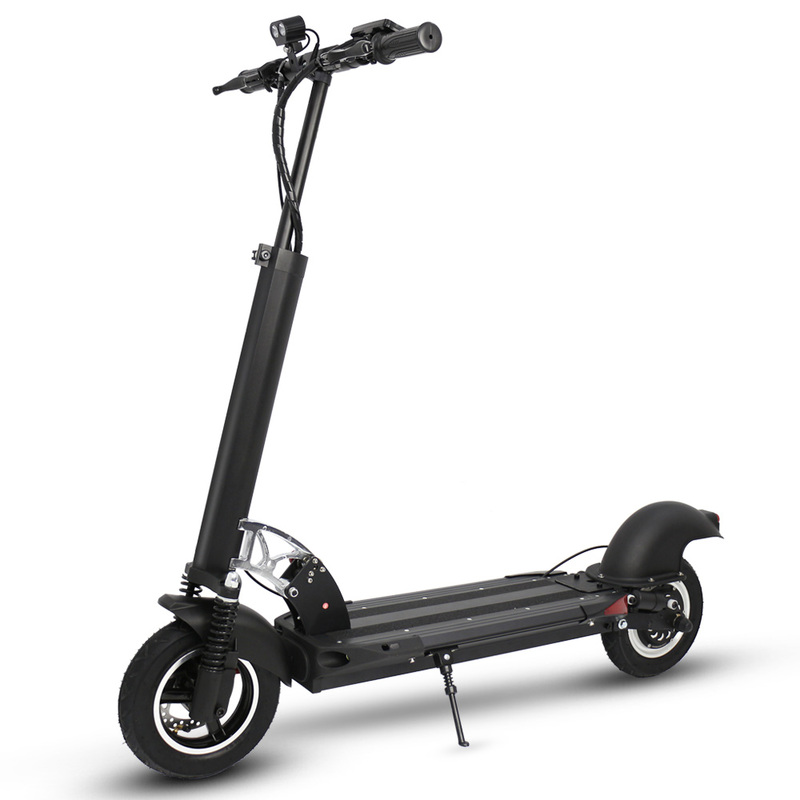 Moreover, the shape electric scooter is as same as normal electric scooter. But electric scooter is heavier than regular scooter because of electric scooter battery and motor. Long range battery 36V 9AH hidden battery was installed on the electric scooter for adults. And you need to charging the electric scooter about 5 hours every day. On a fully charger, you can expect a range of up to 30km which perfect for your city commute in your daily life. Never worry traffic jams anymore! A potent 350W hub brushless motor gives you a speed of up to 25 Mph with a fully charging and remarkable power. Having a fun, fast and excellent riding experience, quite riding surroundings and dramatically increases your mobility in crowded, urban environments while your commute. Meeting you go out and play with your friends in free time. 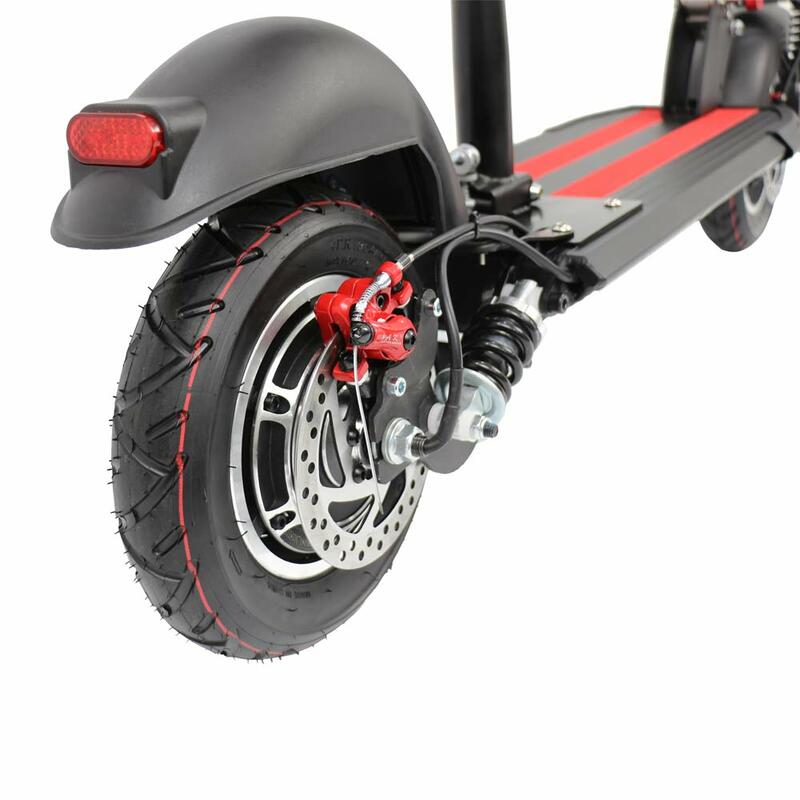 Use front and rear disc brake as the electric scooter brake, which is light than disc brake 1 kg. If you have other requirements, we could offer customized. Smart LCD display was equipped on the left of electric scooter for adults. Distance, Mileage, Temperature, Voltage, error code, Cruise Control and more information about electric scooter. According to those, adjust your speed and time while riding electric scooter. You could equipped with a comfortable saddle on the electric scooter. It suit those who go home after busy job. You can rest yourself, don’t always standing while riding. I think this electric scooter for adults with a saddle would be a good commute helper. If you have any requirements, we also accept customized. 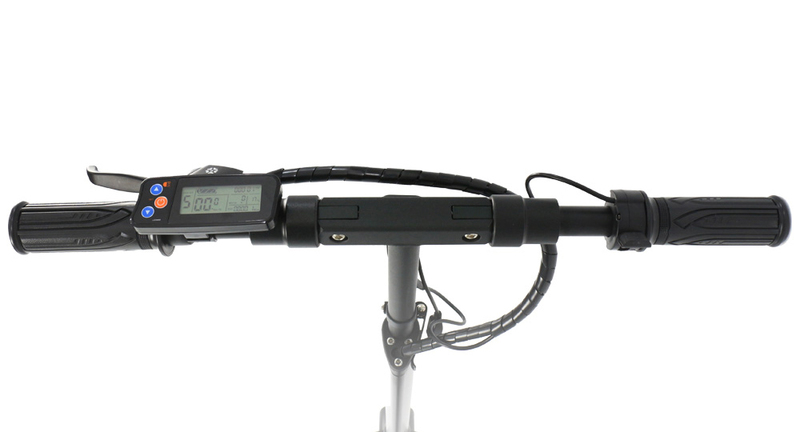 Another, a quick release on the handle tube can adjust the handlebar height depend on your need. Thumb throttle increase the speed directly. A small 3W LED front light with mobile phone charging port, charging every time. The max loading is 120kgs and the wide standing surface allows for feet to be together, side-by-side. If you would like more details or have some questions about electric scooter for adults, please fill out the contact form below or contact us freely!